The man who knows what to say and just how to say it, that very first man in your life—dad. Skip the typical golf getaway and treat the man of the hour to an unforgettable, once-in-a-lifetime excursion he will never forget. Not sure where to begin? Consider one of these Funjet favorite adventures. Do you know a dad that doesn’t love fishing? Yeah, me neither. With Amstar, enjoy a deep sea fishing excursion in Cancun. Begin at Maroma Beach and head into the beautiful open waters of Maroma Bay. The best part—bait, equipment, bottled water, soft drinks, beer and snacks are all included! Dads are busy people—sometimes all they need is a little rest and relaxation. It just so happens that the beautiful Caribbean island of Jamaica is the perfect place, specifically Montego Bay. With Jamaica Tours, dad can lounge with a Chukka Jungle River Tubing Tour that includes hotel pick-up and drop-off, a safety briefing and complimentary rum punch. Think dad has an interest in mingling with enchanting sea life? Let him be the captain of his very own speedboat while cruising along the palm-studded coast of Punta Cana. IslandSun Experience offers a Bavaro Splash Double Driver & Rider excursion where dad can snorkel at Cabeza de Toro. Sounds like a good time to me! For all the thrill-seeking dads out there, zoom across canyons, zip by beautiful rock faces and fly down the Tarzan Swing with the X-Treme Canyon Canopy Ride in Los Cabos. 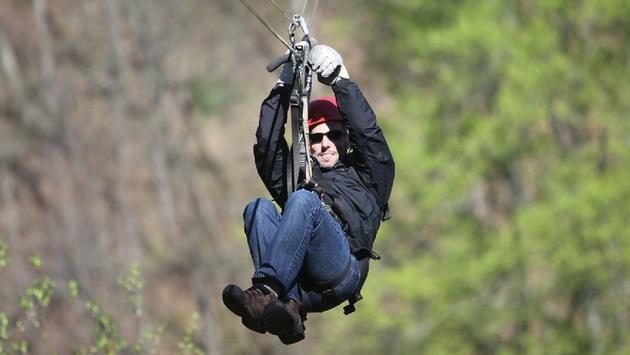 Professional gear, instructions, water, zip-lines, rappel and multiple zip-line courses are all included. If dad prefers the laid-back lifestyle, a Sayulita Escape by IslandSun Experience would be the perfect getaway. Cruise to the little beach town of Sayulita (Puerto Vallarta) in exhilarating off-road vehicles and then enjoy the surf and boutique shopping of the town while taking in the hippy-chic vibe. For more information on the perfect excursion for the big man in your life, check out the Funjet blog here.